Buck Mat Would Go Fixed Blade Tactical Knive | BUDK.com - Knives & Swords At The Lowest Prices! American hero and Special Warfare Operator First Class (SEAL) Matthew J. Leathers was a highly decorated combat veteran with numerous awards including the Bronze Star, Navy and Marine Corps Commendation Medal, Afghanistan Campaign Medal, Iraq Campaign Medal and Global War on Terrorism Expeditionary Medal. Sadly, he was lost at sea in February of 2013. 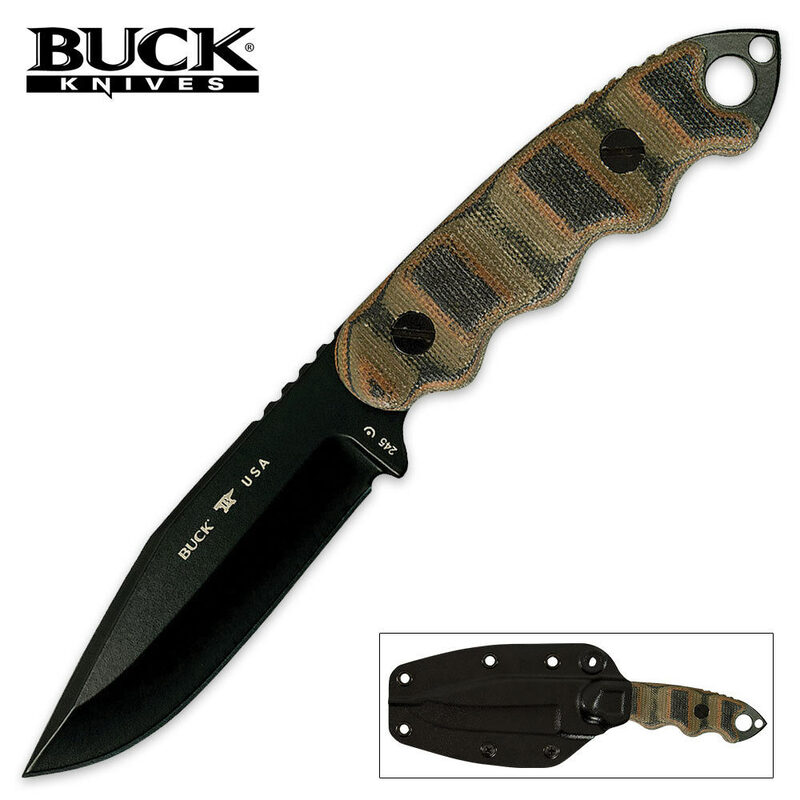 This exclusive design manufactured in the U.S. by Buck Knives is an exact re-creation of the personal knife that Matt Leathers custom designed during his nine years as a Navy SEAL. 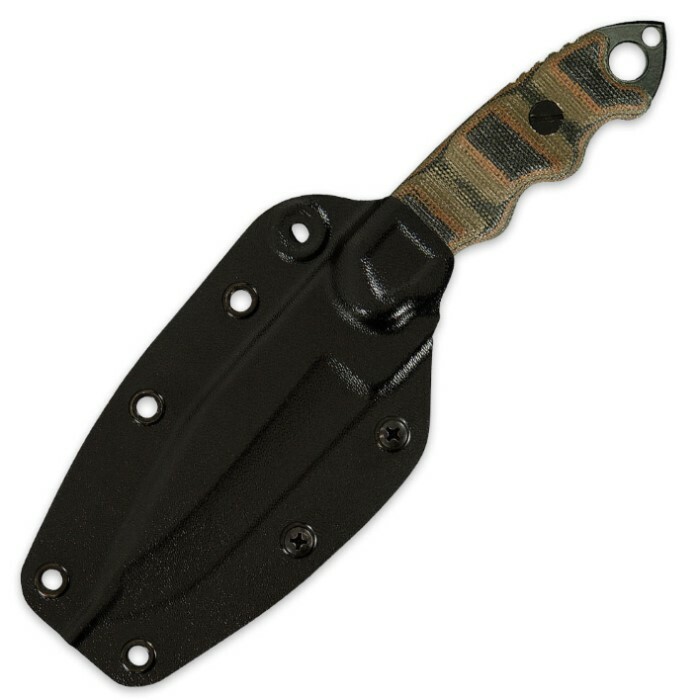 This multi-purpose design features a 4" drop point 5160 steel blade with an anodized black finish. Custom multi-colored micarta scales encase the tang of the blade and provide a contoured, firm grip with comfortable finger notches. A textured Kydex sheath with a TEK-LOK belt clip is included. Appropriately, this knife is proudly made in the United States.